Yay, back to doing this! I have a handful of awesome sauce looking books to read this week! Omgosh I can't wait to crack into them! 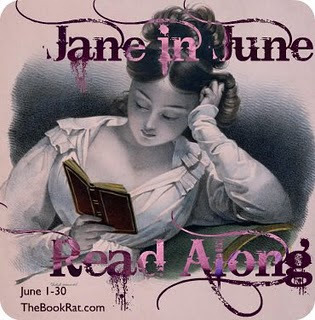 This is for my June 10th blog tour! Ahhh! Carrie Ryan I love your face! With a capital L! 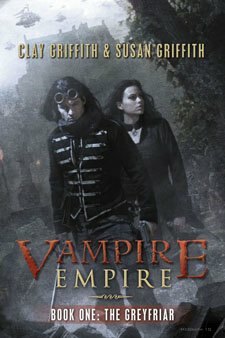 After hearing about how awesomesauce this book is and reading some posts about it via BEA stuffs..Oh yeah baby I'm there! I have not read a Meg Cabot book yet, but I thought this sounded pretty darn good! So I can't wait to see what the fuss is about! It has been brought to my intention that there is another read-a-thon that is going on this weekend. I don't want to step on anyone's toes, so I am going to postpone my read-a-thon for another date. I will post what that date is soon. I should have done my research. 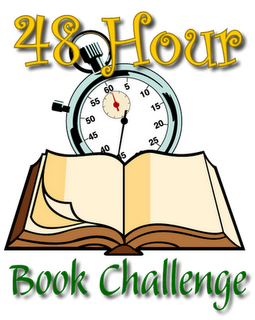 Anyways, if you do wanna get some read-a-thon action in check out MotherReader's 48 hour Challenge. 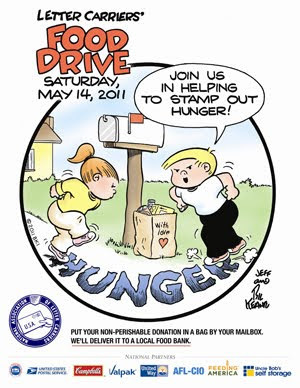 I will be participating as well! After dilly dallying around about this I finally decided that I'm going to pop my Jane Austin cherry! Yup, I have to admit I have never read a single one of her books. Well let me take that back..I've never finished one! So what better way to do it then to join along with other people? 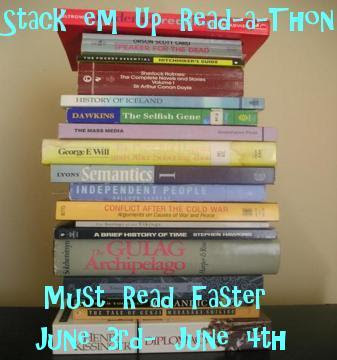 On June 3rd-June 4th, Must Read Faster will be hosting it's very first ever Read-a-Thon! The Stack 'em Up Read-a-Thon! I am not expecting many sign ups, but if you do want to join me I would LOVE that! How can you join me? pick out your books that you want to read and your snacks! And the last and most important one..HAVE FUN READING! This isn't a serious event! It's fun! 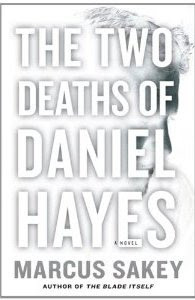 Today I'm reading The Two Deaths of Daniel Hayes by Marcus Sakey. I'm nearly finished with it and let me tell you, it's quite intense. I won't go into too many details because I have a blog tour coming up for it! I will say that is is pretty awesome! I have quit one of my lesser paying work at home jobs and will go full time at the other. This will help free up some of my time while still making a wee bit more money per month. This will be awesome! I am so excited and thrilled and cannot wait til May 31st, which is my last day! I've been thinking about it for a while and finally got up the nerve to quit. This is also going to give me more time to be with the kiddo, read, and just basically live. Hey guess what? I'm hosting a read-a-thon! Yup! June 3rd and 4th! My post will go up tomorrow for sign ups and info about it! If you wanna join, super! Summer Fit is the first workbook series in summer learning to take a multi-dimensional approach to what its creators see as an opportune time for today’s parents to reinforce and create well balanced and prepared students for the school year ahead using a combination of book and computer based learning. The Summer Fit series provides parents with workbook activities based on national standards in reading, writing and math, a daily fitness program designed by school coaches and trainers and core values activities using historical figures such as Abraham Lincoln, Harriet Tubman and Mother Teresa. On-line resources include bonus activities in reading, writing and math, interactive on-line games that review basic skills, fitness videos to show children and parents how to properly perform daily exercises, and access to family friendly movies to reinforce core values. My Review: My son is 7 and is entering into the 2nd grade next school year. He's slightly more advanced academically than his peers, so he's always needed mental stimulus. I literally jumped when I was offered the opportunity to review this workbook! The work sheets progress from basic to a little more challenging. I like this concept and will use it during my son's summer months. I think this would be a great and fun addition to a summer homeschooling curriculum or just to help kids retain what they learned in the previous year! Day 2 of Armchair BEA! This was hard. I have liked so many this year. This one is the one that stands out for me the most! This one just knocked my friggen' socks off! I cannot wait to get my hands on the next book! So far this is my top choice for this year! 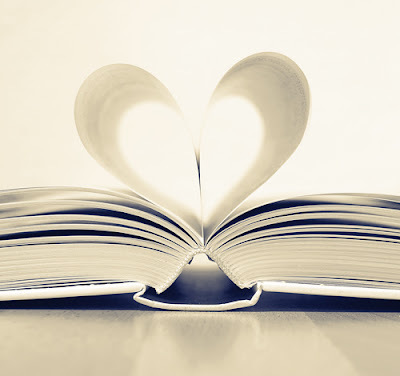 I know there are tons more books out there just waiting for me to bumble upon! So today is the first day of the Armchair Bea fun shenanigans going on over at the Armchair Bea Central blog! This will be what feels like my fiftybajillioneth year missing out on the fun but yeah money ain't cheap! So I have to stay home and listen to all the fun stories (torture) coming through via blogs and twitter. Don't get me wrong I am happy for everyone that gets to go and one day my time will come! Hopefully before I am too old to enjoy it! So I was mucho pleased to stumble upon this event! :) Here I am! So the first prompt pretty much is an introductory thingy. Basically the question is : Who are you, and how do you Armchair? Well let's see. Who are I? I'm Melissa. I'm the crazy random book lady that posts here at Must Read Faster. I love my books and love to read, but am not much loved by the organizational gods (and goddesses! i can't be sexist now can I?) I am 30 and darn proud that I survived this long! I am married and have a kidlet who is 7 years old. He's thankfully becoming a book worm too so that's a big plus! I would post a picture but I don't want you to lose your lunch/breakfast/dinner (depending on timezone) so yeah. I'm armchairing from Alabama. Not quite actually in an armchair, as we don't own one, but I am sitting in a chair! So that qualifies, right? I hope! I will be all over twitter and the blog. That will be how I stay in the loop! I'll do as many of the daily posts as I can too! It sounds like a fun week for everyone! So there you have it! Let the fun begin! Mwahahahahaa! Yeah so you can see how far behind I am from my ridiculously self-imposed schedule! So what I'm going to focus on today is getting Assassin's Apprentice finished (shouldn't be that hard, it's really good!) and then grazing through these above! I finished! Now onto the next book! Hey guys! Didn't get finished with Assassin's Apprentice but today I believe I will. Then as per schedule that I picked out yesterday, I will be catching up with my big thick books! So I'm going to start at 8am (Cst) which is coming up very soon. Progress: not much of it! I had to work this chunk. progress: well I got a chunk read but again with the house work stuff. 61 pages read. Doesn't look like my second book will get read tonight. Cover to Cover Challenge Read-a-Thon! Today! The May readathon will be held from May 21 Saturday 10 am US Pacific time to May 28 Saturday 10 am US Pacific time. The one day readathon will be held on Saturday May 21. The timings for the 24 hour reading spree are left to your convenience. You can start whenever it fits your schedule and stop when you wish to. Assassin's Apprentice-I would like to finish it tonight. Labels: cover to cover challenge read-a-thon, planning post. This is so good. Ignore the creepy/cheesy cover and just plow right into it! It's got everything that a geek loves! It's very much in the same vein as the Terminator movies, in a way. You got the creepy pissed off machines trying to take out all of man kind! The way between the humans and the robots. The friendly robots that are helpful. The struggles to survive. It's a very tightly written story! I loved it. Every single last word of this book! I found out that the book has been optioned for a movie! If they do a true to book movie then it will DEFINITELY rock your face off! I'm thinking it's pretty obvious by now that I liked this book..loved it in fact. Nuff said! Prepare to embark on a thrilling comedic adventure seen through the booze-blurred eyes of Keesey Cypher, a government-trained killer with an ill-fated abundance of classified memories who has since resigned himself to a regrettable existence, sipping away his tainted past. It is this powerful thirst coupled with Cypher’s hunger for games of chance that leads him to New Orleans’ coziest dive-bar the day after Fat Tuesday where one night of seeming misfortune leads to a frighteningly funny reality of subversive politics, corporate greed, backwards logic, and star (double)-crossed romance. In this gripping social satire of modern times, Me and Bobby McGee pokes fun at the inane absurdities ingrained in our society, proving that freedom is truly subjective and karma is not just a philosophy, but a fate that is unwavering. And as an added bonus, for the careful reader and music fan, there are subtle connections throughout the novel to the classic folk song that inspired its title. In a world of terrible truths and impending doom, find out what happens when the only man with the power to stop it… decides not to. This is a witty and fun book! Me and Bobby McGee reminded me a bit of John Dies at the End. It's random and engaging. That's a good thing! It's the randomness that made me fall in love with this book, quite nearly from the start. I have to admit it's a very addictive read. I picked it up and seriously did not want to put it down! I definitely found this book well written and clever. It's fun from the start and will keep you locked in on the plot, even if it is an off the wall kind of plot! The word that pops into my mind to try to describe it is, colorful. Keesey is a strange and a deranged character that I just enjoyed reading about. One minute you wanna sympathize with him and the next you wanna punch him in the nose. (Or kick him in the nuts...read the book to get it!) It's a good thing! He's not a hero and he's not a total villain. He's just a guy, thrown into his situations. I liked finding out how he gets out of them. I haven't literally LOL'd while reading a book in a good long time! This is a great book if you are into the random fun stuff! 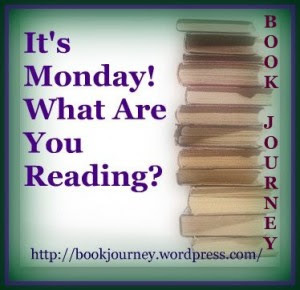 Well I have an itchin' to read a lot this week and I'm not going to fight it! I'll try and get these books read and reviewed! Yay! Feel very planny right about now ;) So here goes! Tell me what you think! Assassin's Apprentice by Robin Hobb. I kinda put that on the back burner in order to have Me and Bobby McGee finished by today. So this is definitely one I'm going to focus on! I'm still chugging along with this one! Very fastly, mind you. I'm not aiming to finish this but I do want a good chunk done! It shouldn't be all that difficult since this is rocking my friggen' socks! Plus also thusly, I have the two big chunky 'ole books I am still reading. The Crimson Petal and the White (parts 1 and 2) and John Adams. So this is what I'm reading today! 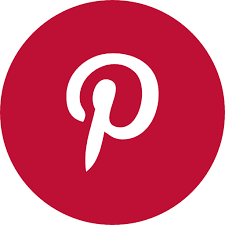 Expect my post on Monday as part of the blog virtual tour! The curse of the NUM8ERS continues in Rachel Ward's CHA0T1C, earth-shattering sequel! Adam has more than inherited his mother's curse: When he looks in someone's eyes, he not only sees the date of their death...he feels the searing, shocking pain of it. Since Jem died, Adam has lived by the sea with his great-grandmother, Val. But when rising tides flood the coast, they return to London. The city is an alien, exciting, frightening place. Most disturbing of all, Adam can't help but clock how many people's numbers are in January 2027; how many are on New Year's Day. What chaos awaits the world? Can he and Sarah stop a catastrophe? Or are they, too, counted among the "twenty-sevens"? Let me just get this out of the way! I loved LOVED the first book! I loved the characters and the plot! Just the idea of seeing a person's death date by looking in their eyes is creepy! That and great writing made numbers a wonderful story. It quickly became one of my favorites. When I heard about a squeal, I had my doubts. I didn't know if it could live up to the awesomeness of the first book. I have to be honest with you guys, I was totally off the mark. This is one great sequel! It totally lived up to the first book and had the same kind of squick factor. I really enjoyed this one! I rate this book Awesome-Sauce! 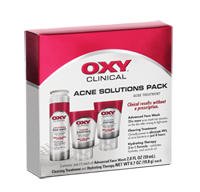 OXY Clinical Acne Solutions Pack-Review AND Giveaway! · Give it time. There's no doubt that you can see fast improvement with OXY skin care products, but they work best when used over time. · Stick with it. Many people wrongly believe that a product worked for them "at first" but then "stopped working." Frequently this occurs because once blemishes start to clear up, people aren't as diligent about maintaining their skin care routines. OXY has products designed to treat, heal and help prevent acne. So you can use them to fight breakouts and to maintain clear skin too. · Make your skin care a priority. Too often we are too busy to take time for ourselves. We forget to wash our faces before going to bed. Or we skip a treatment because we're rushing out the door. Make the commitment and find the time to stick to a simple skin care routine. Our skin is worth the effort. I really wished I had a camera so I can show you what this does! I am not going to claim that it's a miracle treatment, but I will tell you that I have seem some very good results! I didn't start with horrible skin, but I did have my problem zones! I have seen significant improvement in skin clarity and it's awesome! I am now a fan of this product, and after trying it out for almost two and a half weeks I can honest say that it's worth the money! I LOVE it and will continue to use it! http://www.oxyskincare.com – look for coupons and other offers here! http://www.facebook.com/oxyskincare -- we’ll be doing giveaways on our page! http://www.twitter.com/oxyskincare -- connect on Twitter for tips! One (1) of my readers will be able to win a OXY® Clinical Acne Solutions Pack of their own to try out by completing these very few entries. Sorry but US residents only. Giveaway ends May 31st at midnight (CST)! Hey guys! I'm not one to do this sort of post, but being in a county affected by the tornadoes last month, I have seen first hand how every little bit helps! We don't have much to spare, but as I said everything helps. Do what you can! If you could donate anything please do. Click the picture and get more info! I'm considering this a test post to make sure blogger is back to functional! I seem to have lost a post from yesterday so I will try and get back to normal this weekend! The Season finale of the Vampire Diaries is tonight! I am soooo looking forward to this, it's kinda sad. I am an uber dork and I am very much addicted to this show! So here is some awesomeness for you! Well so flattered that you asked! I happen to be on a fantasy kick this week! So I have two books that I am shoving my nose and brain into! First up, since I've become a slave to the show...I'm reading (on my nook) A Game of Thrones. I'm not too far into it yet, since it's massive and I'm lazy but still. I did it bass ackwards and watched the show first, so I'm enjoying seeing how well they adapted it! The other book I found by random bit of trivia. I LOVE the band Within Temptation and was listening to Hand of Sorrow, which is an amazing song! The lyrics are a story of a man that has to choose between obeying his oath and following his heart and being with his love. (A very fantasy kind of story) Well anyhoodle, I was curious to know if it was about anyone in particular and was DELIGHTED to find out it was inspired by a fantasy series by Robin Hobb called the Farseer Trilogy. So I picked up the first book called Assassin's Apprentice. Thus choosing my other fantasy read for the week! So basically that's all I'm focusing on this week! I do have the two big super chunky books that I am reading as well. I'm still reading John Adams (even though I had to drop out of the read-a-long) and The Crimson Petal and the White. Hey guys! Bet you thought I fell off the face of the Earth huh? Well I didn't. I'm still here and still reading! Soooo...suffice to say I think soon I'll be able to get some reviews up and all that good stuff! This book is what I am currently reading. So far I am loving the h-e-doublehockeysticks out of it! 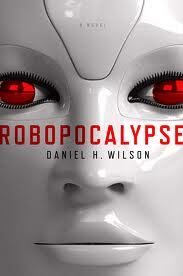 It's like what World War Z should have been, 'cept with Robots. It's creepy and fun and just plain good! I bet you know how my review's gonna turn out already, huh? Well I haven't finished it yet, so my opinion could change! So there! My Son Would Flip For These! May Goals and April Woes.. So this is me as I start May! April was brutal! The ONLY good thing was my son's birthday on the 15th. The rest was blah. 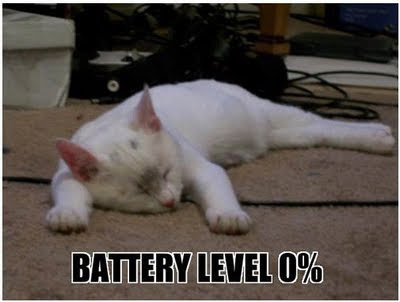 The lack of energy, the tornadoes, the lack of energy..did I mention the lack of energy? Anyways, here is what I managed to do for April. Yeah pitiful, right? At least I got three of them read! The awesome thing was that I loved ALL of them! Those are some good books right there!